Patterned Wool Skirt designed by Emmanuel Ryngaert. For this garment you need about 2 m / 6,6 ft of fabric, if it's 1,5 m / 4,9 ft wide. 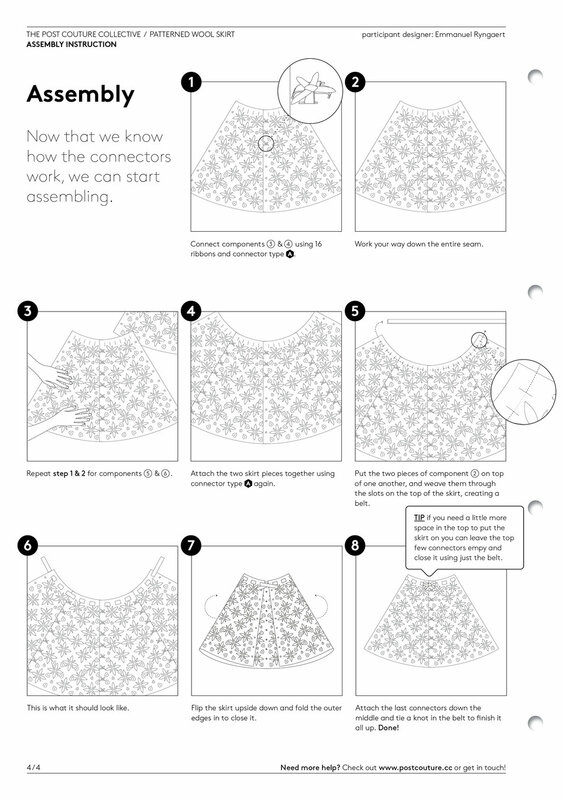 In the Assembly Instruction you'll see exactly what sizes fabric you need to cut that fit all the patterns pieces. For this design you need a lasercutter that has a cutting surface of at least 650 x 1200 mm / 25,6" x 47,3".